Your child should say his/her first word between 8-16 months with the average being around the first birthday. As far as what he/she will say? Other than mama and dada…who knows! It is always interesting finding out what have been “first words” for the children I have worked with because there is such a range! For more information on the first word….click HERE. Taking turns is a skill that develops over time. Infants may start to take turns by cooing back and forth with you. As they get older, they might take turns making a raspberry sound. You go, she goes, you go, she goes. Does this sound familiar at all? Having a conversation requires the ability to take turns. You talk, he talks and so on. As an infant turns into a toddler, her turn taking skills will mature and by preschool she will be able to play simple games with peers by taking turns. But for children that struggle with speech and language development, they may also struggle with turn taking. I have a whole page dedicated to this and in the next several months have a TON of posts dedicated to this very subject. 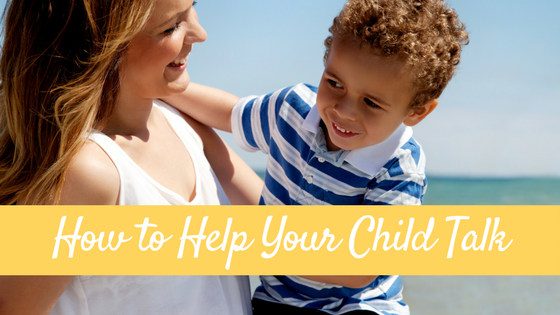 You can head over to my How To Help Your Child Talk page to check out what is there now! As adults, we find imitation pretty easy, don’t we? I mean…If I clap my hands, you can easily clap your hands. If I say “Boogity boo” you could easily imitate my words. Imitation is another critical skill for speech and language development. 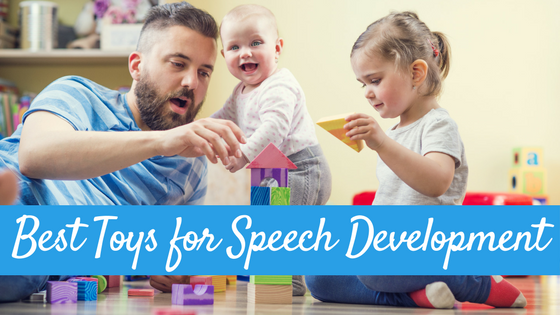 Children need to be able to imitate to be able to practice new words, phrases, motor movements, etc. Think about it…your infant hears you make silly sounds and he tries to imitate you. Your child see’s you jump and he wants to jump too. Then the more and more he imitates (repetition) he soon is able to do and say new things on his own. 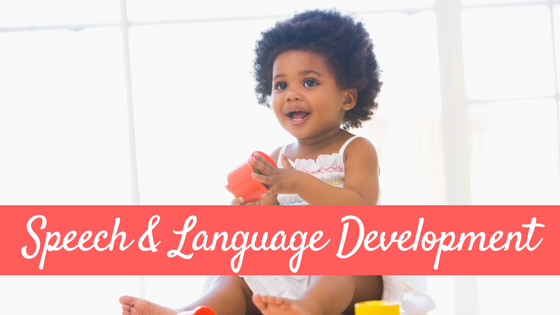 Joint attention is a very very important skill for speech and language development. Joint attention refers to when an individual alerts another to an object of interest, and then the two individuals are then joining in attention to that object. Joint attention is usually observed as happening when an individual looks at an item of interest (and may also gesture towards the object), then at the person he wants to share it with, and then back at the object. This eye gaze pattern of looking back and forth from the item to the person indicates that the individual has an intent to communicate and that the individual understands that the other individual will attend to his eye gaze. Infants begin initiating and participating in joint attention between 8-12 months. Joint attention is a two way street. Children need to be able to both respond to the bids of others trying to initiate the joint attention as well as be able to initiate it themselves. 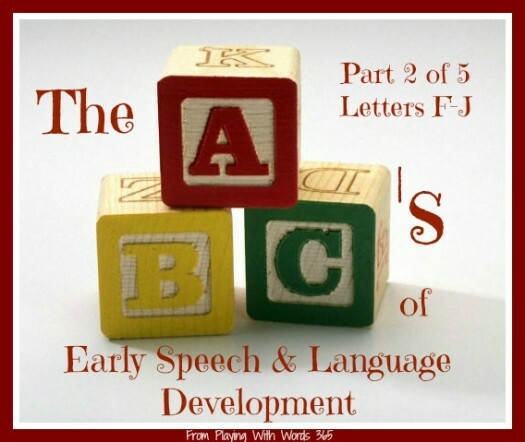 Why is it important for speech and language development? 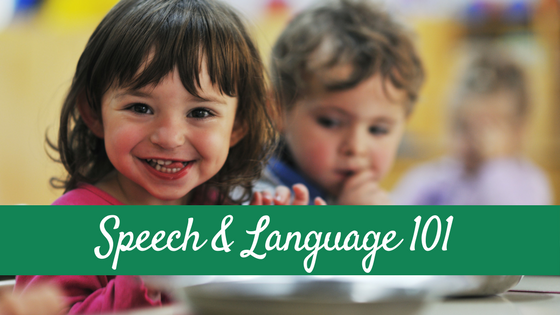 Language is learned during everyday tasks and routines. This means a parent will be initiating joint attention with their infants and toddlers to share with them things around them. An infant needs to be able to understand and respond to this to know what the parent is talking about and learn from it. If the child is not responding to the parent’s bids for joint attention, they are missing out on language learning opportunities. As far as a child initiating joint attention, this is critical for language learning as well. When a child initiates joint attention, i.e. points out an object of interest, what does the adult do? The adults starts talking all about the object. This is true of infants as well…when n infant looks at something what does the parent do? They start talking all about the object! They might even pick it up and place it in the infants face or hand! Pointing is a way to initiate joint attention. I wrote all about how important pointing is HERE. 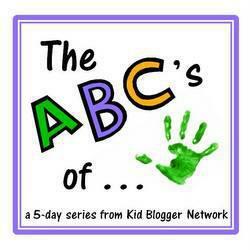 Now, go check out some of these awesome ABC series from my fellow Kid Blogging Network bloggers. 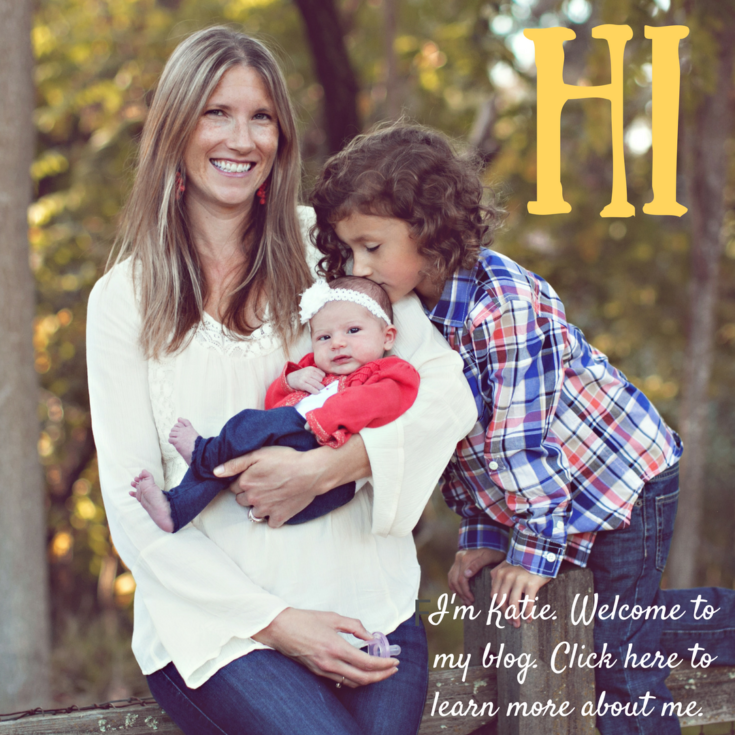 Today I am sharing the links to the Mom Tips and Tricks Series. 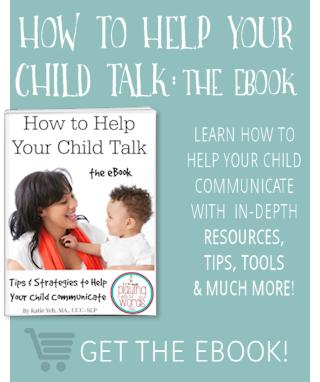 My child is 5 years old but has difficulty talking. She can perfectly say phrases like “let’s go, hello daddy, I want water, etc but cannot construct a complete sentence properly. Should we consult a speech therapist urgently or we need to get her speech toys to assist her along? At five, I would suggest have a speech pathologist assess her and see. Good luck!